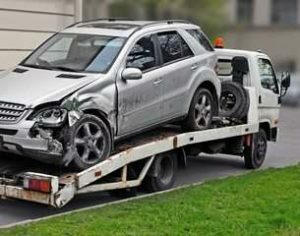 Outstanding services offered by Qld Car Wreckers for all brands of used, old, unregistered cars, trucks, vans. Find a good deal today!! Are you in the market to sell your used car or truck? At 07 3338 8937, we’ve been focusing on purchasing old cars in exchange for cash for several years. Cash for Old Cars Brisbane has been paying you top dollar for your vehicle for years in order to help you sell your scrap car much easier in Queensland location. Whether you have a used car or an old truck we are interested in acquiring it today! Our authoritised car technicians are available to respond to all your queries and make selling your car a breeze. Stop by and take a visit to sell your car today! With our outstanding employees, we focus on immense customer service, saving your time, as well as money, is our ultimate objective. Can’t bring your old car to us? Do not bother about it! Our trusted experts will gladly drive to your residence or place of work to evaluate your car and offer money in hand within 20 minutes or less, guaranteed! With a lower operating price than our contenders, we present you the best prices. Lots of our customers are astounded at how much Cash for used trucks, vans and any commercial vehicles can offer them for their old and dented cars. We are understand you and consider all procedures of selling your old car. Our company always keeps in touch with the customers after the sale, we are highly dedicated to offering you the finest customer service. How the whole procedure functions? If you are stressing over looking for a “cash for cars in Brisbane Qld“, do not worry. Since Our Company wants to purchase your vehicle despite of its year, make, model or condition. It takes just a few minutes to offer us with some essential facts concerning your car to quickly obtain an estimation for your old car. Evaluations are made on the basis of the limited information we gather from you, as well as market facts about your car (for rare makes, models along with years can limited). Due to this, the assessment quote should be considered with caution, this applies to over the phone, online or during our physical car check. An additional amount (e.g. tilting) might also pertain. By opting to receive an assessment, you are in agreement to our conditions of use. Qld cash for cars Brisbane buy vehicles that can used as second-hand parts in future. Why sell your old car to Qldcarwreckers? Buy all condition of vehicles no matters how how old or damaged. We purchase all sorts of makes and models of vehicles.